Bats can be noisy, smelly and scary. Worst of all, bats can be a legitimate health risk, leaving behind a large amount of droppings (guano) in your attic and walls. 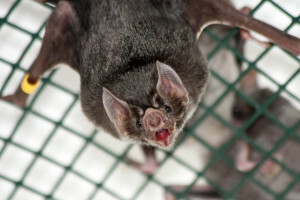 Bats will not just go away on their own if they are in your attic – you have to have them removed and your space cleaned. Bats can carry rabies without showing any outward signs of the disease, and living or working near bats can increase your exposure and risk of infection. As much as bats are beneficial to our environment, they should not be roosting in or on your home or commercial property.